U.S. sanctions have been used extensively by successive Administrations to try to achieve change in Iran’s behavior. 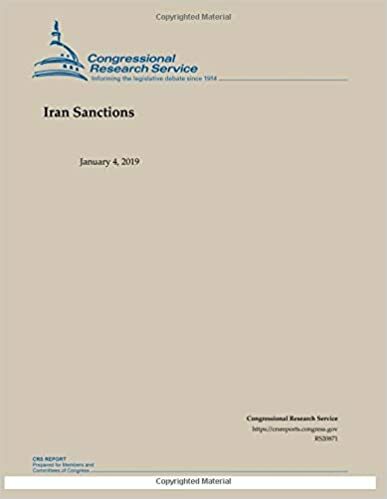 Sanctions had a substantial effect on Iran’s economy and on some major strategic decisions, but little or no effect on Iran’s regional malign activities. During 2012-2015, when the global community was relatively united in pressuring Iran, Iran’s economy shrank by 9% per year, crude oil exports fell from about 2.5 million barrels per day (mbd) to about 1.1 mbd, and Iran was unable to repatriate more than $120 billion in reserves held in banks abroad. The 2015 multilateral nuclear accord (Joint Comprehensive Plan of Action, or JCPOA) provided Iran broad relief from the international and U.S. secondary sanctions as the U.S. Administration waived relevant sanctions, revoked relevant executive orders (E.O.s), and corresponding U.N. and EU sanctions were lifted. Remaining in place were a general ban on U.S. trade with Iran and sanctions imposed on Iran’s support for regional governments and armed factions, its human rights abuses, its efforts to acquire missile and advanced conventional weapons capabilities, and the Islamic Revolutionary Guard Corps (IRGC). Under U.N. Security Council Resolution 2231, nonbinding U.N. restrictions on Iran’s development of nuclear-capable ballistic missiles and a binding ban on its importation or exportation of arms remain in place for several years. However, Iran has continued to support regional armed factions and to develop ballistic missiles despite the U.N. restrictions, and did so even when strict international economic sanctions were in place during 2010-2015.